I know why, I wanted to make my own opinion. And for the price of the full size I got one full size of the clarifying mask and half a dose of the moisturizing one. I must say that the clarifying one is just really clarifying. If you have really sensitive skin : STAY AWAY. Luckily I'm not as my skin is oily let's say it's ok, but I do need to moisturize it well after. It is very tingly, very fun and quite weird to use, but still it does the job. My skin got some mystery glow appearing and I'm sure it's because of it. Well see you next time! Back from holiday, I poped by the pharmacy to get a "drainer" and some tablets because I suffered a severe allergy to tiger mosquitos. 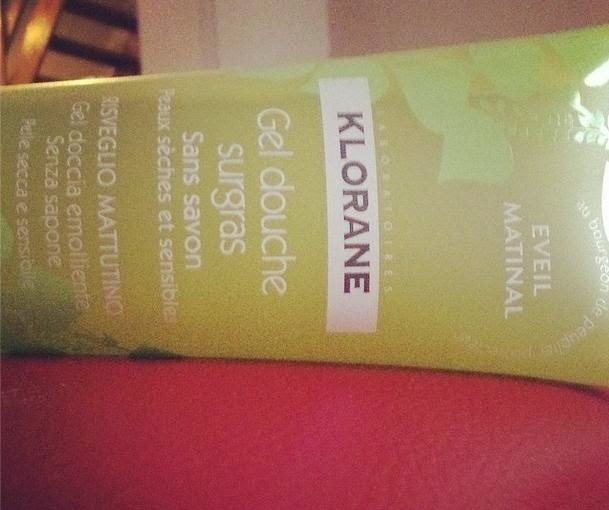 They had a "sale" on the Klorane shower gel and I just thought I would give it a try. My favorite scent is by far the "Eveil Matinal" ( Morning wakening), it is fruity, punchy and gives you the energy to start the day even if outside it's pouring rain. 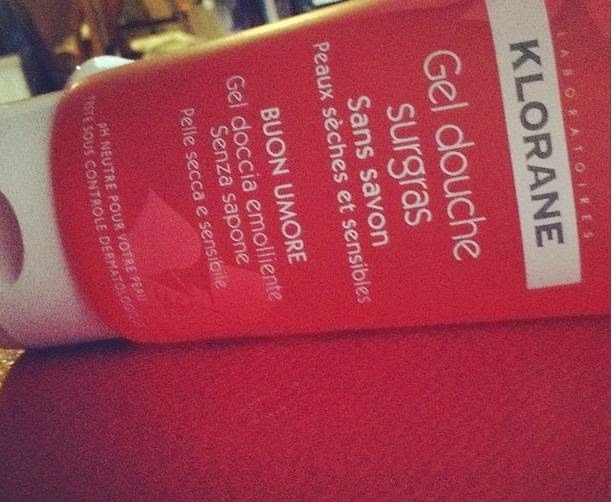 The red one, "Bonne Humeur" (Good mood), is more a nighty scent, a bit heavier, smelling like red berries. Since I'm using them I don't have any dry patches on my skin and it lives it very hydrated. I totally recommend this formula for the people who suffer from dry skin. So the result is that I will probably try more of them, because they totally deserve the hype. I was going through the shelves of the Paris XL Corners in the Rakstore store near I live and than : BOOM! 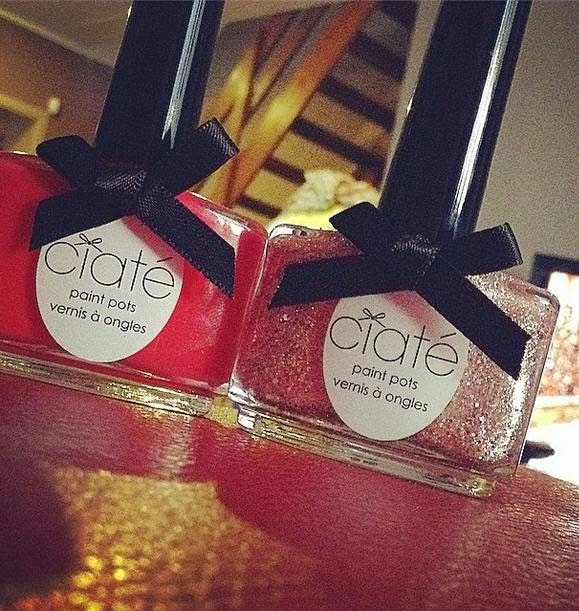 A Ciaté display! Two days before I was about to order some on Sephora.fr but restrained myself. I must admit that I splurged a lot that day, but I won't spoil. So here are the two I went for. It was a bit of a problem for me to choose... oh yes a big problem. 8,79 euros each, not that expensive. 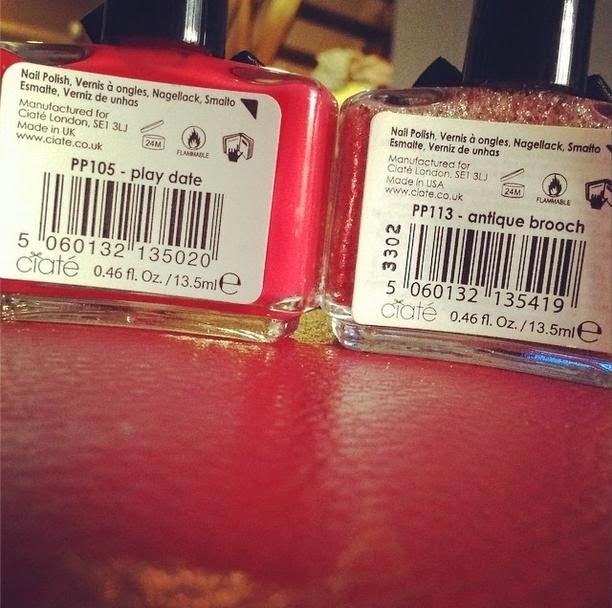 Really gorgeous and I think they might replace Essie nail polishes in my favorite list. I'm back, step by step I try to get back into the beauty section of my life. I ordered a bit of things on Sephora.fr. In the package there were some Bobbi Brown product I've been dying to try. 2 lipsticks from the Creamy matte lipstick line : The 04 true Pink ( Thanks EssieButton) and the 08 Calypso. The texture is really creamy but they stayed quite a long time. I had to do some touch ups but not that often. Down side? They make my teeth look a bit more yellow than they really are. 1 blush: The Apricot ( Thanks again EssieButton! ), it is really flattering, but I'm not sure I'd be wearing that often. I don't know why I'm not really in love. I still prefer the frat boy from The Balm. I will post you some picture with a good lightning tonight, promise! I'm really sorry, but I'm back. I had several health problem and other things to deal with. but now I'm back and I'm preparing you some articles !! Last week I introduced to my favorite highlighter, now it's time to introduce to its companion : The Balm Frat boy. 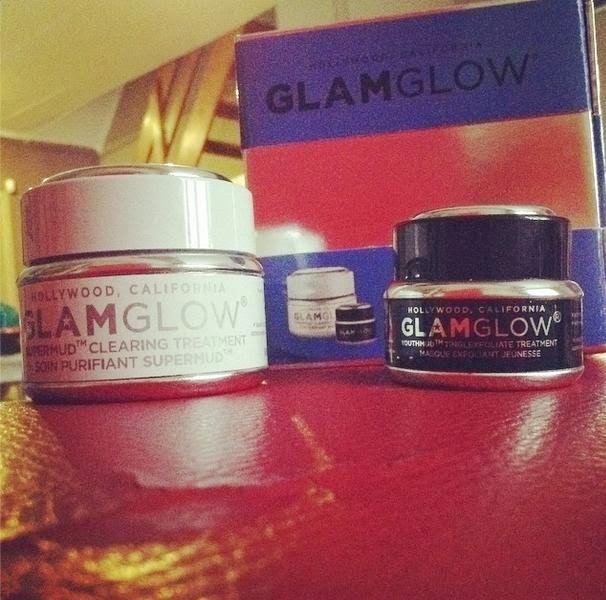 It's not a secret, I love The Balm, and I'm totally Happy we can finally find them in Belgium. This blush is really pigmented, and some kind of buttery in the texture but one you blend it, it gives you a health rosy cheek. The Packaging: Carton - Messy- risky to travel with. Pigmentation: (Half down side cause it is also positive) if you're not careful you can easily look like a clown. Ever tried this blush? Another recommendation?